Austin Texas’ Love Inks were voted as one of NME’s Top 25 New Acts You Need to Hear last week and now you will if you haven’t heard them before. They are set to release their 7″ limited edition of Rock On/Be Brave on September 12 and in preparation for this, they are now streaming new track, Be Brave, online. It’s a track full of soft drums, melodic bass and charming vocals. The band focuses around the married couple, Sherry LeBlanc and Kevin Dehan, who work well together as a duo. Sherry LeBlanc’s vocals sound innocent and angelic while the music brings other influences into the song. The deep bass tones against the simplistic guitar and the tempo of the drum beat all make the song easy to listen to. The way they mix pop music with psychedelic elements and electronic splashes of colour gives them the chance to produce some memorable and catchy tracks. Be Brave is definitely one of these songs. LOVE INKS “Be Brave” by HellYes. 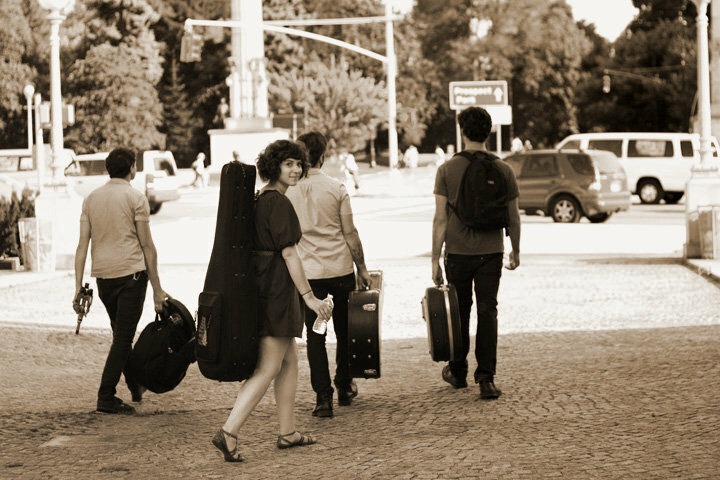 The New York city quartet, Swear and Shake, released their first EP, Extended Play, last November. 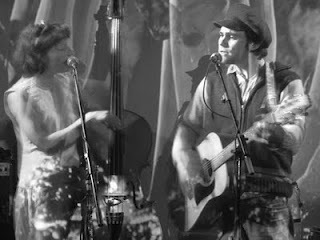 Remaining relatively new in the music scene, they’ve quickly made a name for themselves as a band who have “…soulful vocals, taught harmonies, poignant lyrics and fun folk-pop.” (Swear and Shake biography on swearandshake.com). And it’s easy to see why. The pleasant vocals of Kari Spieler mixed with the bands folk roots gives them a boost above other bands in the same genre. Spieler vocals are raw and naked just like folk should be. In Johnnie, the pureness in her voice shines above the rest of the song. But her voice doesn’t stay the same, it adapts to the different influences in all of the tracks. In Being Time, her folk inspired voice is strong but also lends a hand to the rockier elements in such a natural way. Her style of vocals change again in Bones where she becomes soulful and emotional which fits this ballad type track. Having two strong singers in the band gives the quartet the chance to show off their harmonies and variations in their musical influences. The best harmonies can be found in Bones, they are note perfect and spine-tingling. The other vocalist, Adam McHeffey, also has his chance to shine independently from Spieler in the tracks The Promise and Truckstop Flower where he shows his own unique style of singing, bringing another dynamic to the band altogether. There is nothing to fault with this band. On first listen, I was surprised to find five tracks that sound utterly different from one another. I was expecting to hear four other tracks close to the sound of Johnnie but it was a great relief to hear five completely diverse songs. Swear and Shake seem to have refreshed folk. They’ve blended powerful folk vocals with soulful melodies and meaningful, emotional lyrics giving them their place in the folk music scene. However, they’ve shown they don’t just do one type of song. Johnnie and Being Time show the bands acoustic side while Truckstop Flower and The Promise show them being a little more adventurous with the music combining folk, pop, rock and indie sounds. Swear and Shake have produced a rugged yet perfect five song EP in Extended Play. Lets just hope that the next release has more to enjoy. With the release of Dave Depper’s take on Paul McCartney’s 1971 Ram album approaching pretty fast, I decided to give you all a little video of him performing one of my favourite tracks from the album live, Monkberry Moon Delight. Dave Depper’s The Ram Project is released on Monday 22 August. Waters, the new project from Port O’Brien’s front man Van Pierszalowski, has released his newest track, O’ Holy Break Of Day. After his debut single, For The One, O’ Holy Break Of Day is a much more chilled out rock song. It’s much slower in tempo and more sombre compared. However, Pierszalowski’s vocals retain the same emotion found in the previous song, although this time it’s more raw emotion than anger. The Drums have announced that they will be releasing their second album, Portamento, a week early on September 5. To coincide with this news, they’ve also released a remix of their first single from Portamento, Money. You can listen to it here. 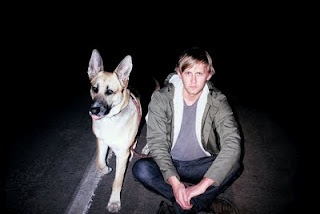 The Drums have also produced a video for their latest track which can be watched below, enjoy! Folk and jazz are probably the best two music genres and I’ve found a band that combine them in the most perfect way. Meet The Glow Globes. A folk/jazz band from Bristol who I unexpectedly yet pleasantly got to see perform on Saturday night at The Bocabar. This is one of the best live bands I’ve seen in a long while (ignoring their prolonged sound check where they burst into half a song then suddenly stopped, readjusted the sound and walked away frequently). There’s something so natural and relaxing about their music while at the same time being odd and adventurous. Laura Holmes (double bass) has one of the most amazing voices I’ve ever heard. She has elements that were once heard in voices like Joni Mitchell. Being a tad odd, Laura isn’t the type you’d expect to have such an outstanding voice. John Holmes (guitar) also has a great, strong voice which works perfectly with Laura’s harmonies, sounding occasionally like Louis Armstrong with the twists he performs. 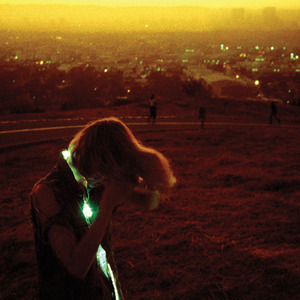 Neon Indian is set to release his new album, Era Extrana, on Oct 10 through Transgressive Records. In the run up to this date, he is giving away a free download of Fallout, the first taster of what’s to come from his second and anticipated record. Alan Palomo is Neon Indian who, with his 2009 debut, Psychic Chasms, managed to earn himself a place in the music industry. He assisted in inventing what has come to be known as the musical genre of hynagogic pop, glo-fi and chillwave among other names. Fallout stays true to this unusual electro sound. Calming and mesmerising, it hooks you in with its simple beats and soft tones. Palomo vocals fit perfectly and compliment all the different sounds. He sounds like he’s from an 80s pop band, similar vocally to The Human League’s Philip Oakey just a bit huskier. Palomo’s voice produces the deeper, huskier tones that are needed to really give this song that spacious, psychedelic feeling.